The ADAPT-r days in Ljubljana were organized from the 11th to the 12th of June 2015 at the University of Ljubljana, Faculty of Architecture. T he ADAPT-r days aimed to contextualise ADAPT-r within the local/regional institutional and cultural environment. 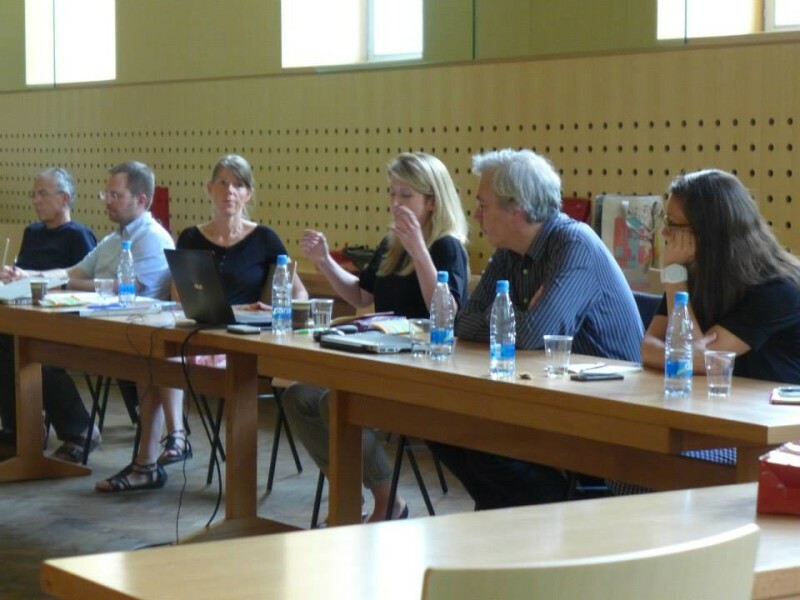 Three partners from the project consortium were represented: the KU Leuven, the University of Ljubljana and the Aarhus School of Architecture. The first main event was a round table discussion a bout the current development of doctoral programmes in creative disciplines. The round table was introduced by Tadeja Zupancic (event organizer), Johan Verbeke (project coordinator), Gitte Juul (ESR at UL) and Eli Hatleskog (ER at UL). The challenges of creativity in architecture, design and arts practice research were discussed through the three lenses: strategic (Johan, Tadeja), action (Gitte) and tactical (Eli). The project meta-level presentation focused on ‘public behaviours’, relevance and ‘transformative triggers’ linked to public behaviour. This was followed by a roundtable discussion involving key people from: the UL doctoral developments, the faculty, the university and national levels. The working exhibition ‘Stadium NOWHERE’ was presented by Gitte Juul. It related to the Bezigrad Stadium, which is fenced off, closed to the public and torn between different interests. The story of Plecnik’s stadium was presented via seven nomadic structures manifesting the passage of time. The project was designed and constructed in collaboration with 28 students from the second year architectural course ‘introduction to urban design’ at the University of Ljubljana, Faculty of Architecture. The main event of the second ADAPT-r day was the STADIUM WALK with Gitte and the students, carrying the models representing the urban challenges through the city centre of Ljubljana. This was an open invitation to public debate regarding the future of the stadium. Thus the strategic and tactical levels of the project were rooted in both action and discussion.